Dejan Lovren? 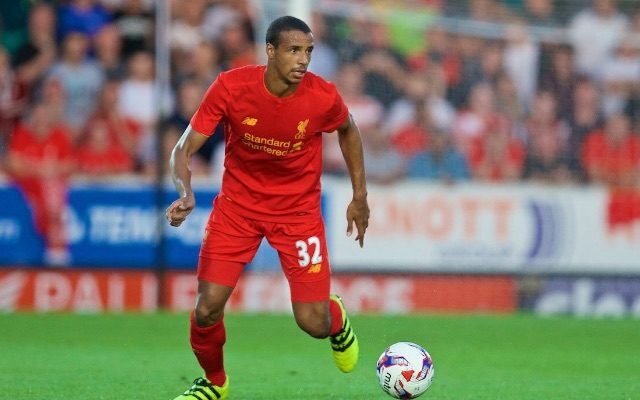 Joel Matip? Ragnar Klavan? Lucas? Joe Gomez? ….Mamadou Sakho? There’s been much speculation as to who will eventually establish themselves as Liverpool’s first-choice centre-back pairing, and on current evidence – it’s looking like Croatian Lovren and Cameroonian summer signing Matip will take some shifting. But Klopp’s adamant that there is no first-choice combination, and that it’ll change throughout the season depending on form and fitness. “We have to use the quality of the squad. The different pairs know how to play together. Why should I say they are the pair for whole season and then one of them gets injured?” he told today’s pre-match press conference ahead of the Leicester City tie (cited in the Echo). In the same press-conference, Klopp opened the door for Sakho to eventually return to consideration for selection, but said it depends solely on his fitness (interestingly – not his attitude). “We have to make Mama now fit,” he continued. “The situation is you have to make decisions and you have to prepare the situation after the window closes. You have to tell the players the truth. “Not only with Mama. With all of the players. I told them what I think would be the best. The squad is what it is. In this moment it is about making Mama fit, which he isn’t after this time. Then we will see what happens. While Klopp is smart to not openly name a starting pair, keeping every centre-back on their toes, it’s obvious that Lovren and Matip will now get a chance to form a partnership. Our defence needs stability, so these two need time and games in which to gel and improve. They’ve got the raw skills to do it, and it’s vital they do – as with Sakho waiting in the wings – there’s a seriously talented defender wanting their spot.